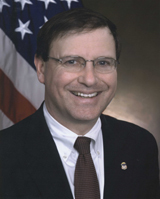 Chuck Rosenberg, acting head of the DEA, plans to resign at the end of the month. A holdover from President Obama’s administration, Rosenberg told his staff in an email that he was proud to have run a “remarkable agency,” the Washington Post reports. Rosenberg, who has been the acting administrator of the DEA since 2015, didn’t shy away from criticizing the White House and Justice Department. In July, for example, Rosenberg criticized Trump’s comments that suggested law enforcement should handle criminal suspects roughly. “We have an obligation to speak out when something is wrong,’’ he wrote in the email. It’s not yet clear who will replace Rosenberg, who also served as a U.S. attorney and senior counselor to then-FBI Director James Comey. Posted: 9/27/17 at 10:29 AM under Milestone, News Story.